Regrets, foolish decisions and a general turn for the worse. These are the themes that glue the latest Groovy Uncle album together. 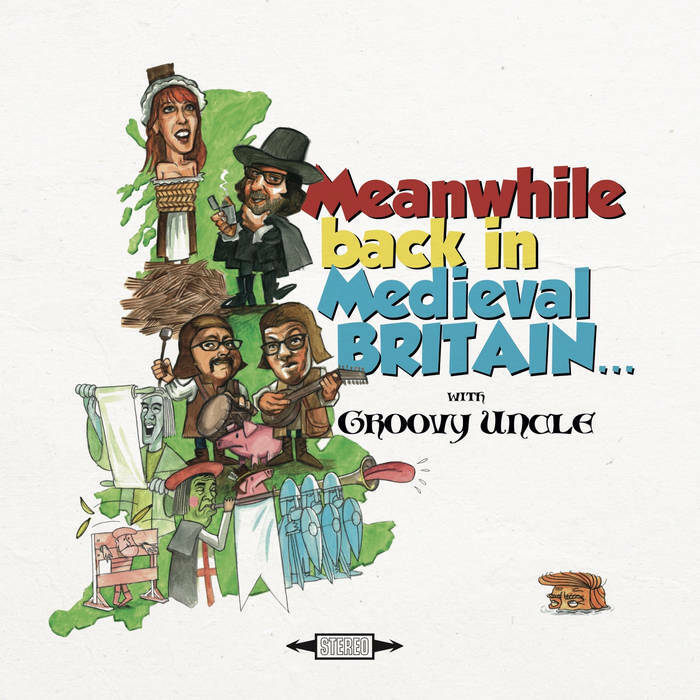 On the face of it, Meanwhile Back in Medieval Britain is a loose collection of songs, created and performed by an ever-growing collective of singers, musicians and songwriters. This, in and of itself, is impressive enough; Glenn Prangnell’s vehicle for sounds-like-the-60s pop is more assured than ever before. But scratch not too deep beneath the surface and you will find a dozen musings on missed opportunities, mistakes and a miasma of misfortune. The record starts as it means to go on: looking back – and realising how pointless it is: “Don’t look back, look straight ahead/you’ll break your heart and hurt your head” Suzi Chunk sings over a whirlwind of adrenalised soul. For all the big sounds that will lure your feet to the dancefloor, ’20-20 Hindsight’ it’s a self-knowing, self-aware tune with much depth to it.